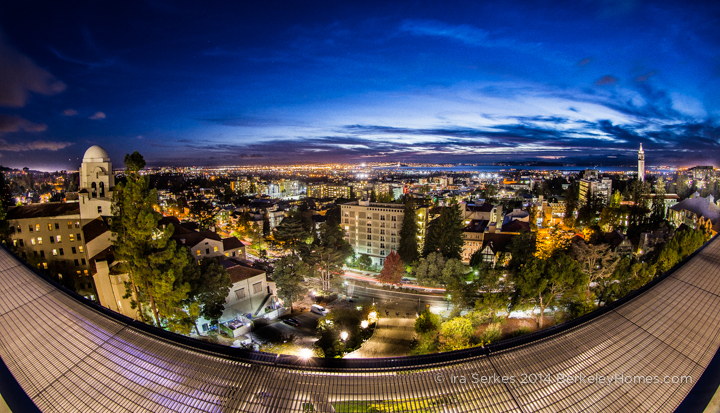 View from atop University of California Berkeley’s Memorial Stadium ... We embrace living in Berkeley! 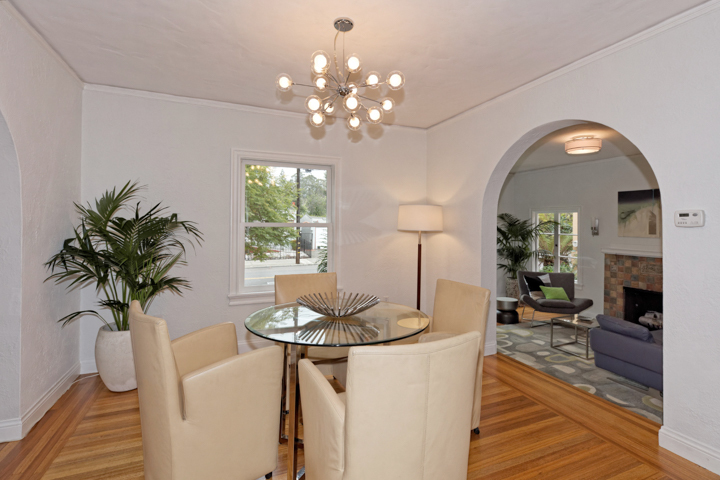 Welcome to berkeleyhomes, your resource for selling and buying Berkeley Real Estate. 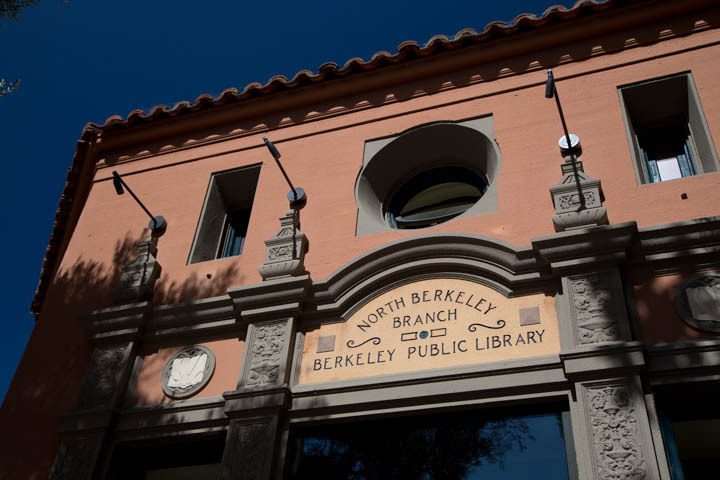 I'm Ira Serkes and have called Berkeley my home since 1974. I created this web site to show you some of the reasons Carol and I love living here. 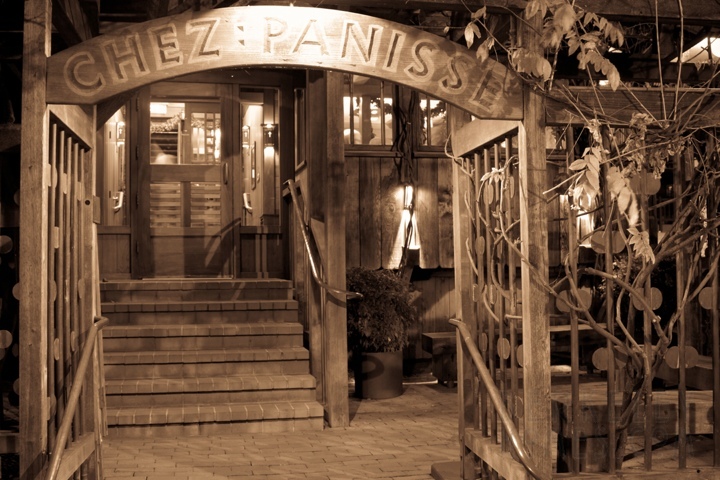 Imagine we're sitting down for coffee at The French Hotel and you said "Ira, tell me what homes are for sale, what the neighborhoods are like, and what it's like to live in Berkeley...." you'll know what awaits you! 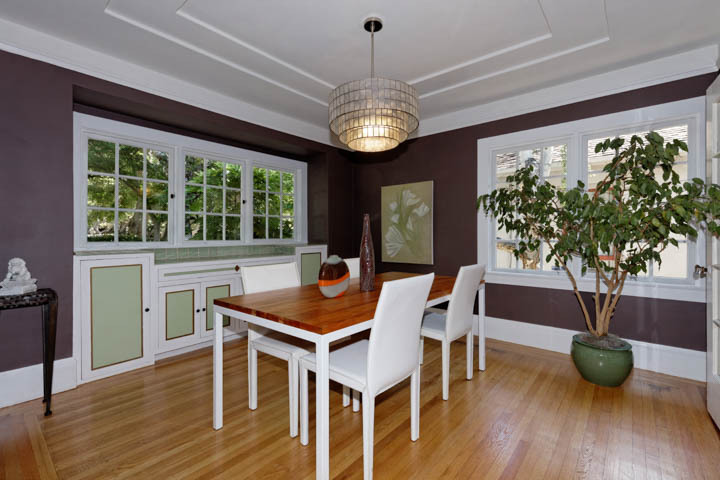 If you're planning on a relocation to Berkeley... or are a seller or buyer... this is the place for you. Over the past few years I've been adding a huge number of neighborhood photos to flickr, hundreds of blog posts to my blog, dozens of videos to YouTube, and maps to Google ... so my major project for this year is to integrate it all together! 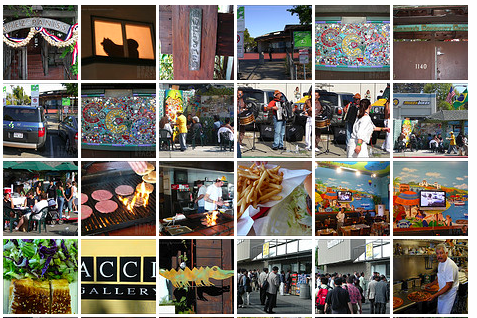 For now, though, if you want to see what makes Berkeley such a special place to live, experience our festivals and events, read my blog posts, and see where the neighborhoods are ... well, just click on any of the images to go to the different sites where it all awaits you. Please don't hesitate to use us as a resource. We’d be happy to answer any local community or real estate questions you, your friends, neighbors, family and co-workers might have. 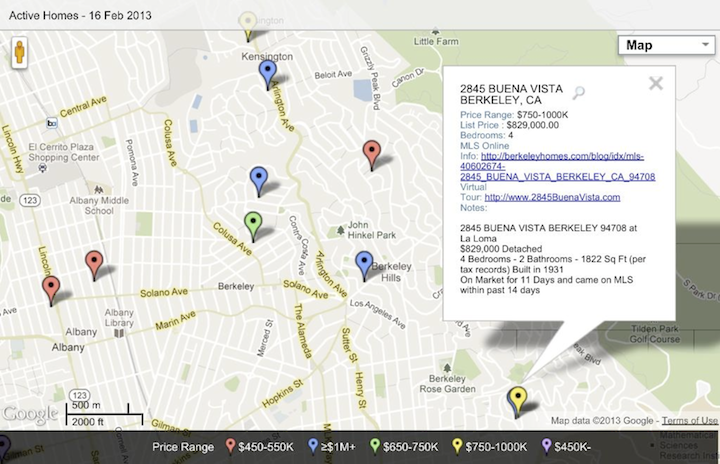 Interested in Berkeley Real Estate Price trends? 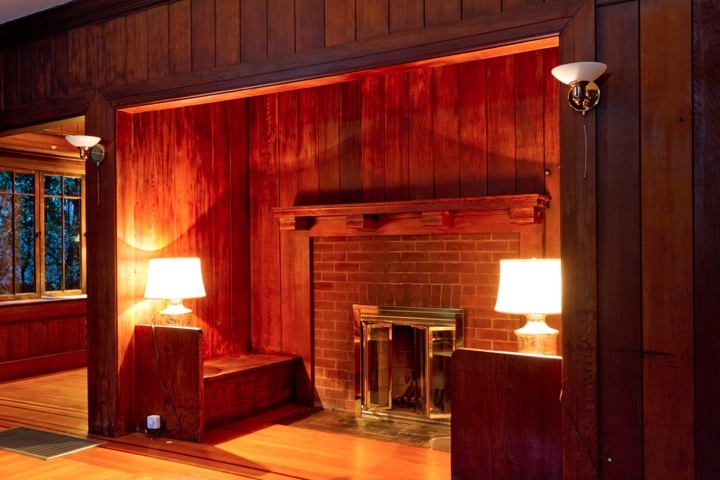 Want to find out how to prepare your home for sale, then attract buyers to your home? 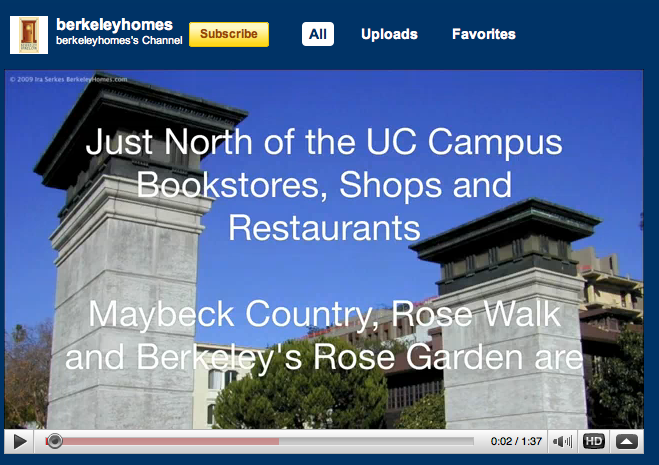 View our Berkeley Real Estate Update video series! Just click on each playlist to view the videos, organized by topic. We cover all these, and more, including a concierge/organizer showing the best way to prepare for your move, home stager on how he creates value for our sellers, and an Attorney/CPA on how to transfer your low Proposition 13 Property Taxes to your next home. We look forward to representing you too! 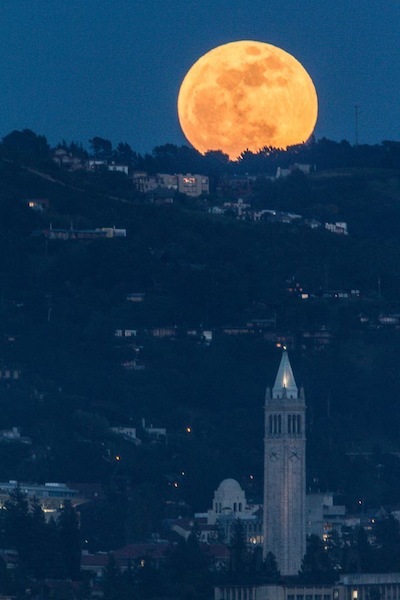 UC Berkeley Sather Tower/Campanile, I-House and Memorial Stadium. Photo by Ira Serkes. 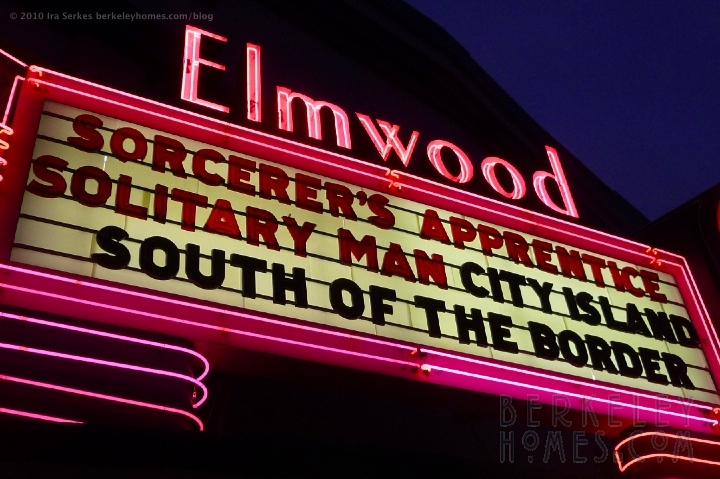 Find out how I took the photo! Click to order a print or mouse pad. Library,Monterey Market/Hopkins St. shopping area, and upper Solano’s shops and restaurants. 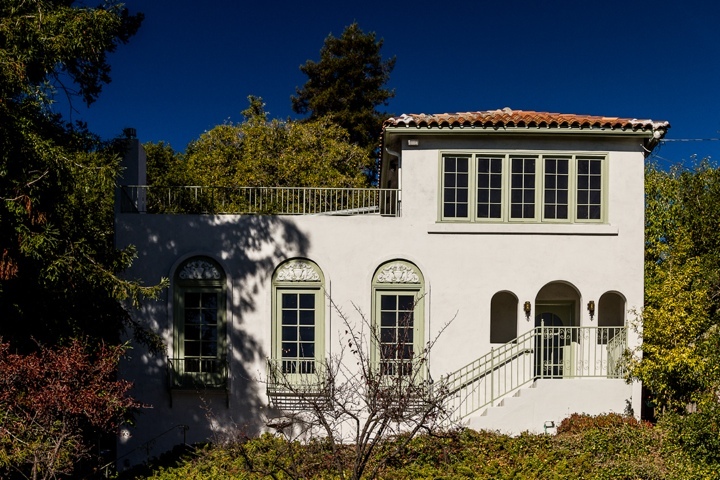 Truly, it is one of Berkeley’s loveliest properties. 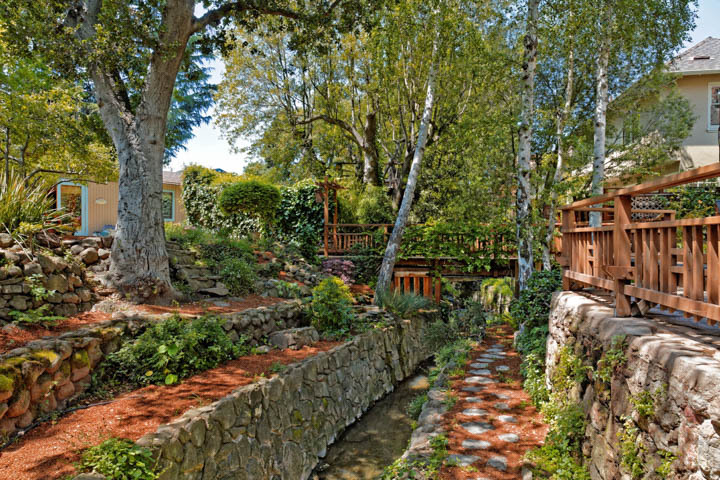 This can be your very own back garden-park: a flagstone terrace and built-in seating look out onto a serene wooded park; soothing sounds of falling water down steep rock-lined creek walls; a narrow bridge; a peaceful haven filled with birds, mature trees and greenery. 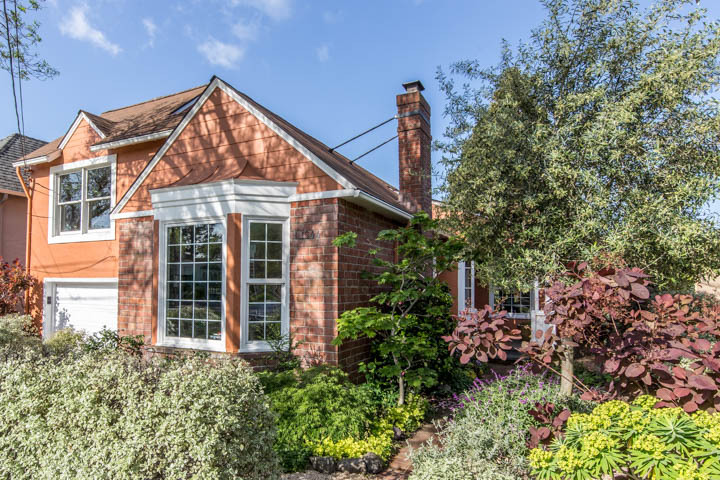 The house is updated and elegant throughout: an arched glass paned front entry door; a living room with marble fireplace and wood-burning insert; a formal dining room, three bedrooms and two baths, all with hardwood floors. 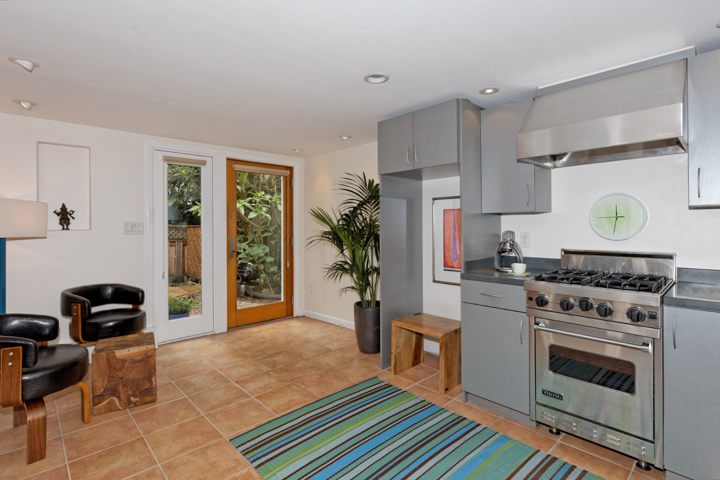 Built-in seating, art tile and glass paned cabinetry in a large cooks’ kitchen. 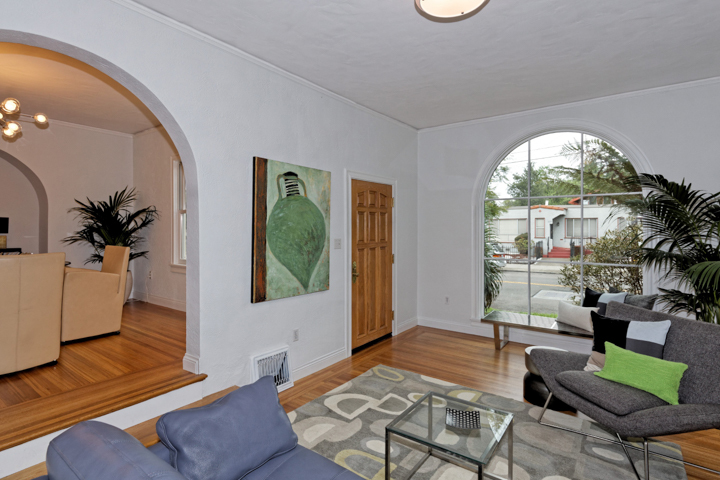 Great additional space below includes a half bath that does not appear on public records. Extras include: energy efficient casement windows, foundation upgrade, and a lower level has office/guest/study space with great storage. Just Listed!! 1544 Sacramento in North Berkeley, Near BART to San Francisco, and wonderful Northbrae/Westbrae and North Berkeley Shops, Restaurants and Cafes. 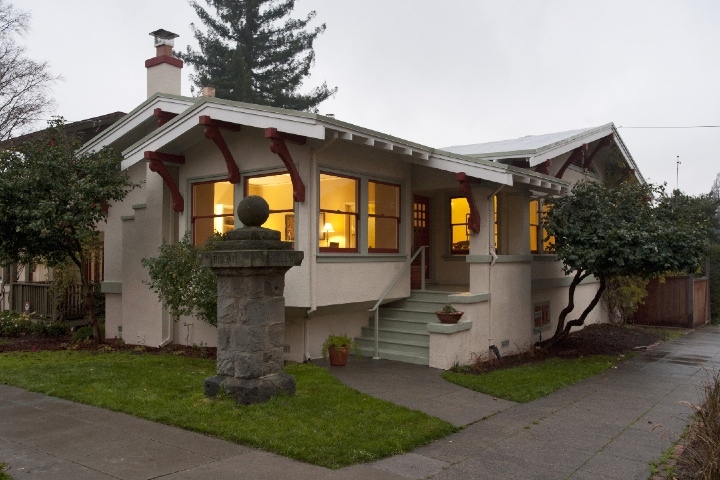 Remarkable North Berkeley location just blocks from BART and Northbrae’s wonderful shops. Sipping coffee on the deck or terraces, admiring the glorious blooming garden, and watching the bees and birds, you’ll be amazed that you’re on Sacramento. Turn right as you enter … and the open family room & kitchen with french doors to the deck and garden awaits you. Up the stairs – two bedrooms, one with a terrace overlooking the garden. And down … a garden level master suite! The split level design gives options to have your extended family live there, or space to work at home without disturbing the rest of the family. Flexible living! 2 bedrooms, 1 bath, formal dining room in main house; lower level bonus family/office/guest with separate entry adds even more! 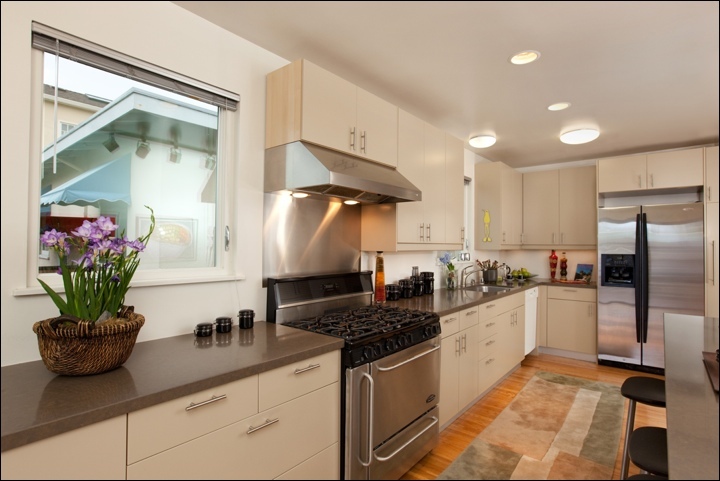 Newer paint & refinished hardwood; stainless appliances; elegant arches; radiant & gravity heat; fireplace; 3 skylights; luscious landscaping; off street parking for 1 car. 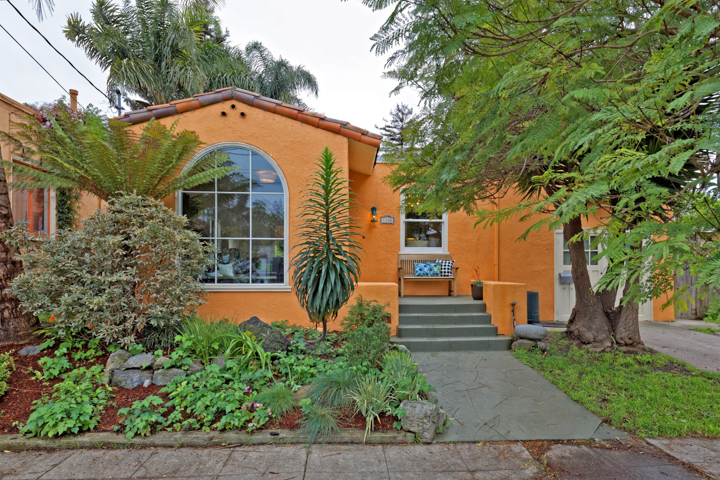 Near Monterey Market and Gilman District shops; Great public transit - close to North Berkeley BART, bus to San Francisco & Downtown Berkeley runs along Gilman; easy highway access too! Flexible living! 2 bedrooms, 1 bath, formal dining room in main house; lower level bonus family/office/guest with separate entry adds even more! 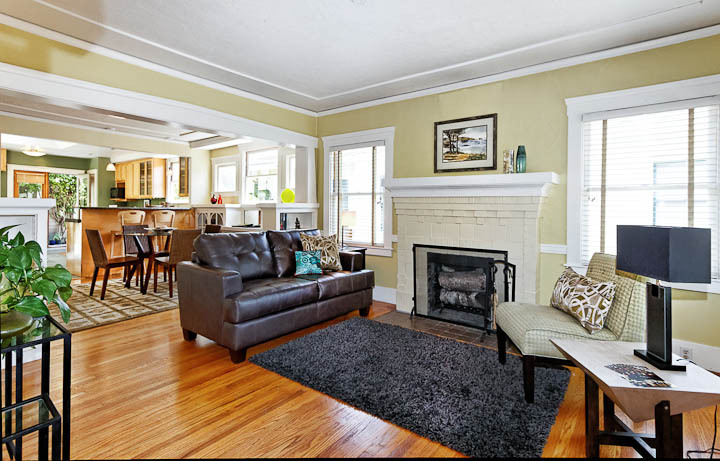 Newer paint & refinished hardwood; stainless appliances; elegant arches; radiant & gravity heat; fireplace; 3 skylights; luscious landscaping; off street parking for 1 car. We sell homes like these! We love living here .... you will too! Click on each image to go to the different sites! 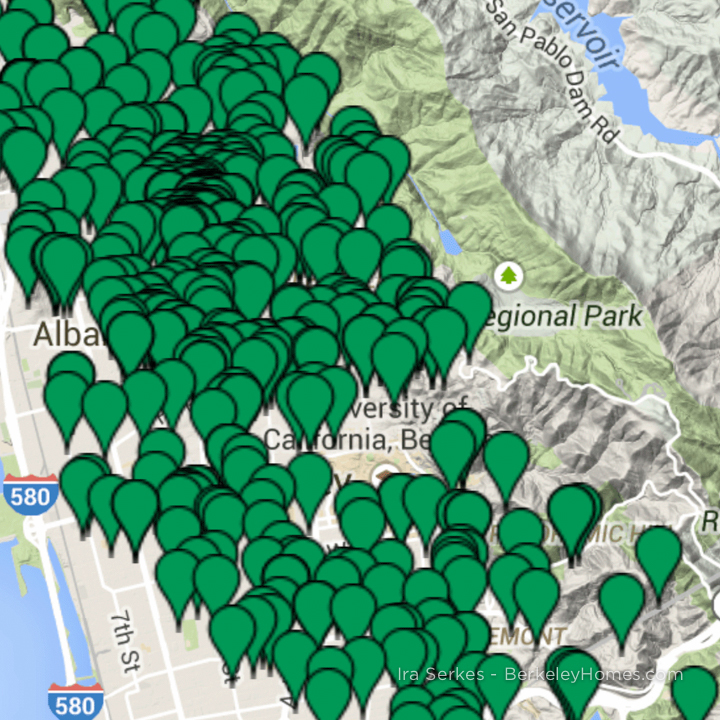 Find out what homes are on the market right now with our map based MLS searches! 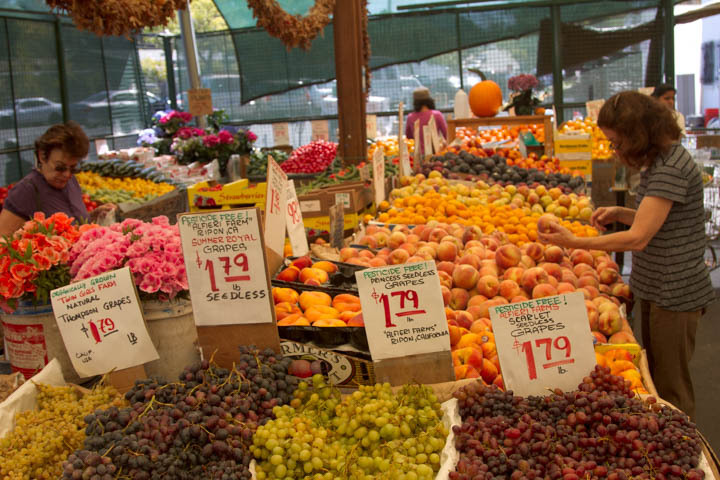 We love telling others what makes Berkeley such a special place to live. 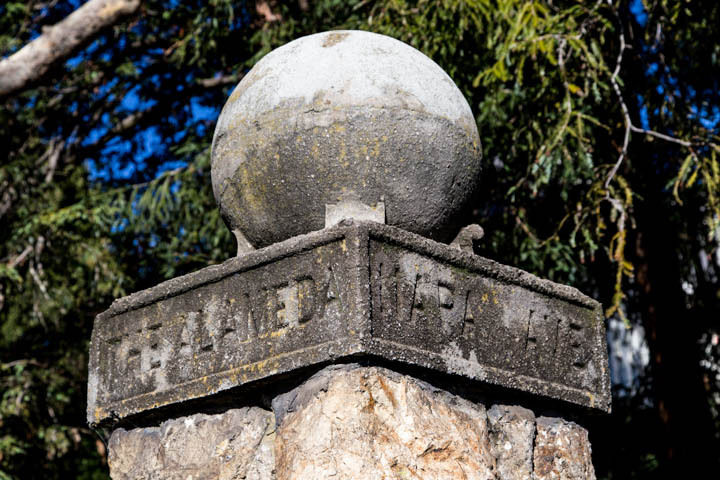 Click on icons below for links to our most up-to-date photos, video, and visits to Berkeley's most interesting sights and neighborhoods. 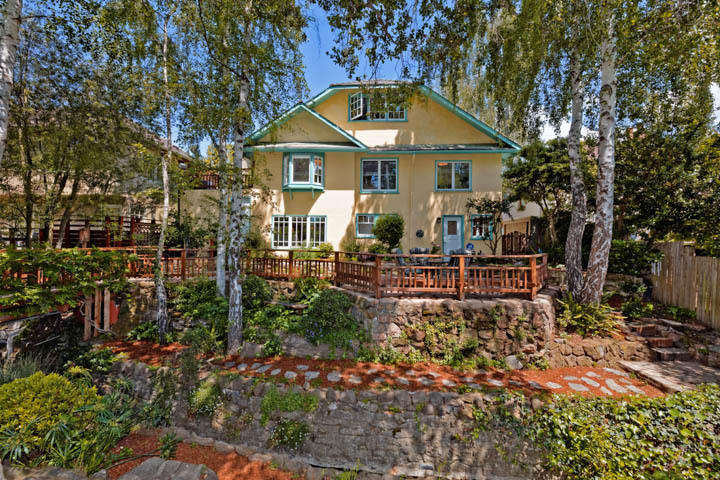 We're full time (and then some) Realtors with extensive experience on the ins and outs of selling and buying an East Bay home. How much experience? We've personally represented the sellers or buyers of all the homes on this map... and the map just shows some of our sales. We believe in "high touch" old fashioned handcrafted service (we check email relentlessly, answer the phone ourselves, and have banished "call waiting" from the phone system) .... enhanced by our extraordinary "high tech" tools! We want our clients to know about berkeleyhomes ... all Berkeley California real estate and homes for sale, not just our company listings... so if you're looking for a house for sale, we've included links to Multiple Listing System (MLS), The public MLS is set up to show you what's on the market, but as soon as someone buys a home, it's removed from the search. 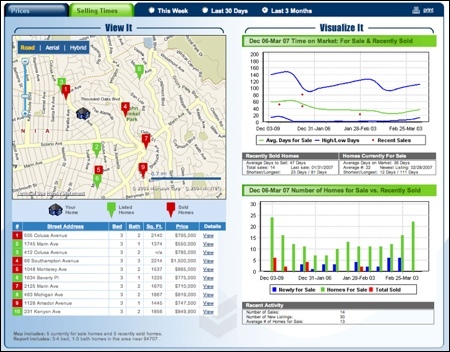 We want you to know what homes actually sold for, so have set up a special market snapshot search page. 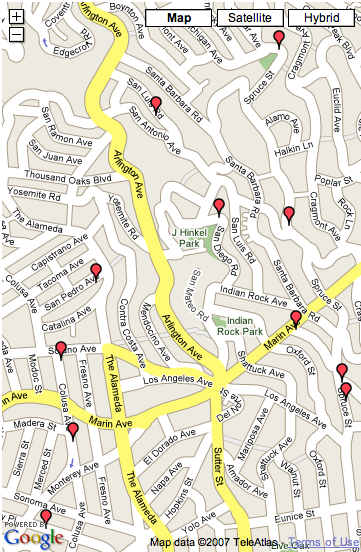 So.. if you want to find out which Berkeley area homes are for sale right now, just click on the left map. 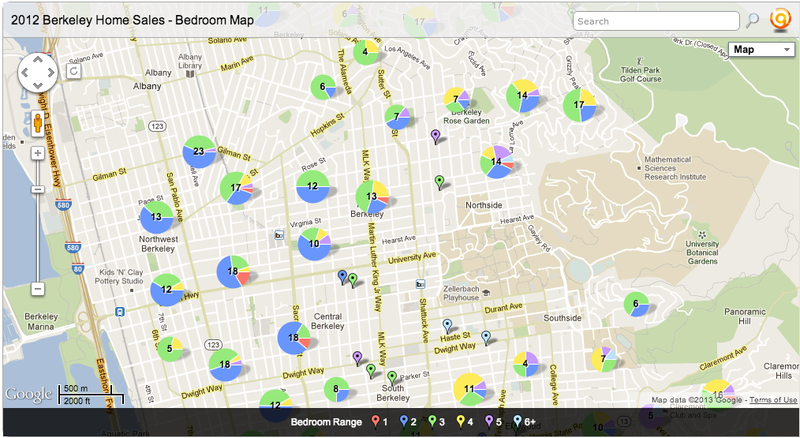 We customized the searches so you can see what's for sale... by neighborhood. Want more details? 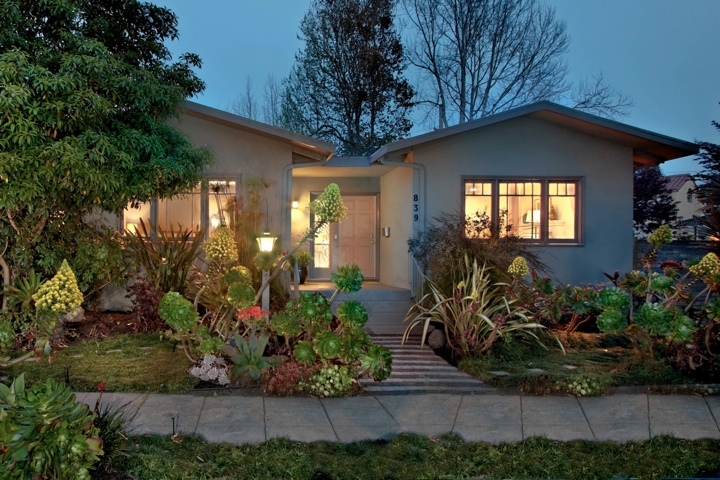 What's on the market and also what nearby homes actually sold for? Click on the right map. I f you're like me, and simply curious, click on both - it's our pleasure to provide you the information you need to make informed decisions. 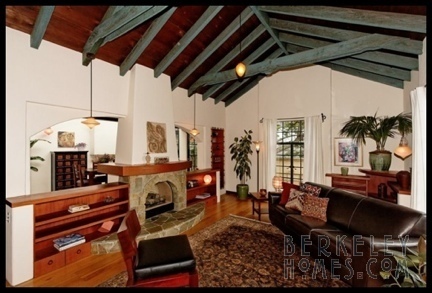 Consider berkeleyhomes your resource for Berkeley Real Estate sellers and buyers. 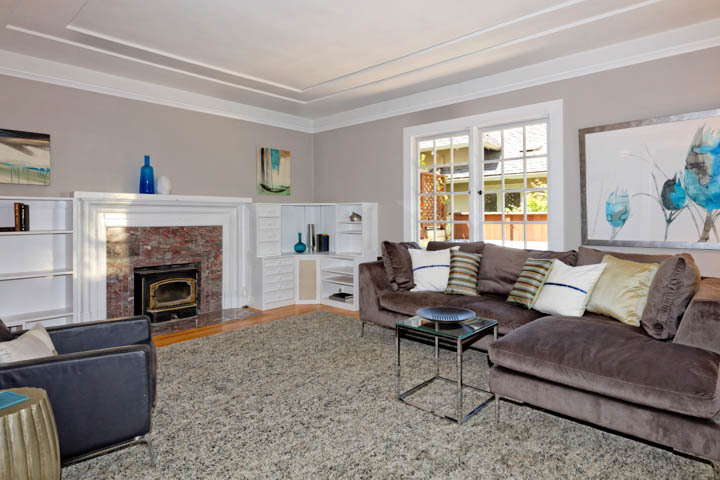 We've added lots of photos and maps of our favorite places, and extensive links designed to to help you buy or sell a home or simply enjoy living in the Berkeley and nearby communities of Albany, Kensington, El Cerrito, Rockridge, Montclair & Piedmont. Arriving from, or moving to, a different community? We mastermind with the finest Realtors in North America! Ask us for a free referral an outstanding Realtor anywhere in the United States or Canada! Here's what's in store for you! 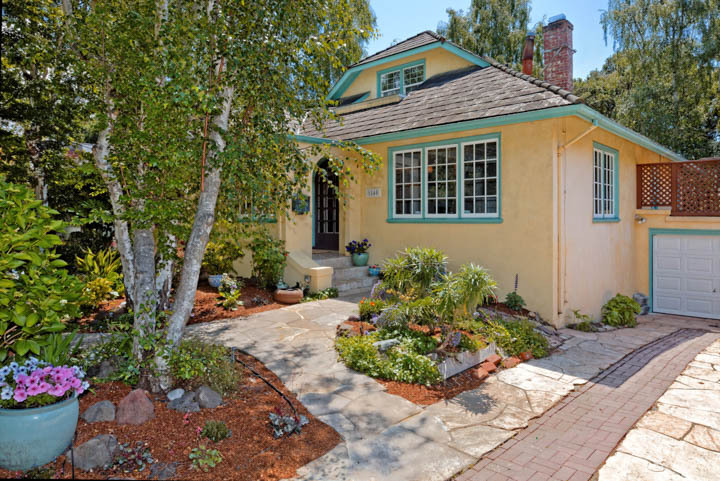 You can search for homes for sale in Berkeley, and even subscribe to daily email updates! 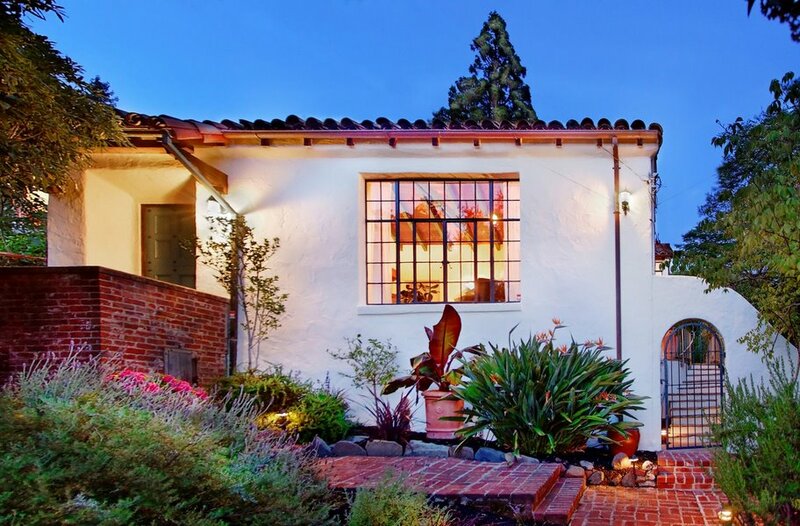 So whether you want a fine home or estate... buying a home in Elmwood Claremont, or want to find out what's for sale in Thousand Oaks... here's where to go! I came to Berkeley in 1974 to work for Chevron... and have lived here ever since. One of the things I love about living here is the diverse neighborhoods with gracious homes and delightful shops. We've the marketing plan designed to sell your home... For The Highest Price... In The Shortest Time... With The Fewest Problems! But... what you'll receive when you hire us is best said by our clients, so we have lots of seller testimonial letters for you! You’ll love our web-based approach to homebuying combined with our personal service...high tech, high touch, time efficient... just the way you always knew it should be. About Us Photography, Travel & Lucy The Cat! Fortunately, he's been able to overcome those handicaps... find out how! Expertise Matters - Ira & Carol are both Certified as Residential Specialists (CRS) by the National Association of Realtors. Ira is a Seniors Real Estate Specialist (SRES), Accredited Buyer Representative (ABR), one of only 188 CyberStars in the world, among the first Internet Real Estate Professionals (ePro-500) in the United States, and one of the only Certified Luxury Home Marketing Specialists (CLHMS) in the entire San Francisco East Bay. We're proud to be Allen Hainge CyberStars, a worldwide network of outstanding Realtors who excel at using technology to better serve their clients. Ira is one of only 188 CyberStars in the world, an the 2003 CyberStar of the year! 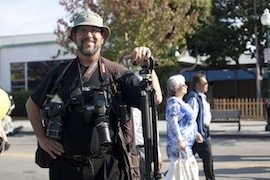 © Ira & Carol Serkes 2014 - Creators of berkeleyhomes.com - All Rights Reserved.